Click here to view the March School Board Meeting Press Release. Congratulations to Abby Herbert, Ian Carnahan, Bailey Felter, Sydney Camfield, Nicholas Johnson and Spenser Lacox for being named Illinois State Scholars! You can check it out in the Decatur Herald and Review. 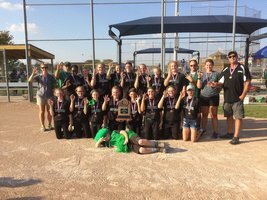 3- Peat- Regional Championship 3- Peat- Sectional Championship 3-Peat FINAL FOUR Finish in the IESA State Tournament A 2-1 Tournament Record to finish in 3rd place ** The most runs scored among all teams over the 2 day period! !